The baroreflex or baroreceptor reflex is one of the body’s homeostatic mechanisms for regulating blood pressure by controlling heart rate, strength of heart contractions, and diameter of blood vessels. The most important arterial baroreceptors are located in the carotid sinus and in the aortic arch. These baroreceptors respond to stretching of the arterial wall so that if arterial pressure suddenly rises, the walls of these vessels passively expand, which stimulates the activation of these receptors. 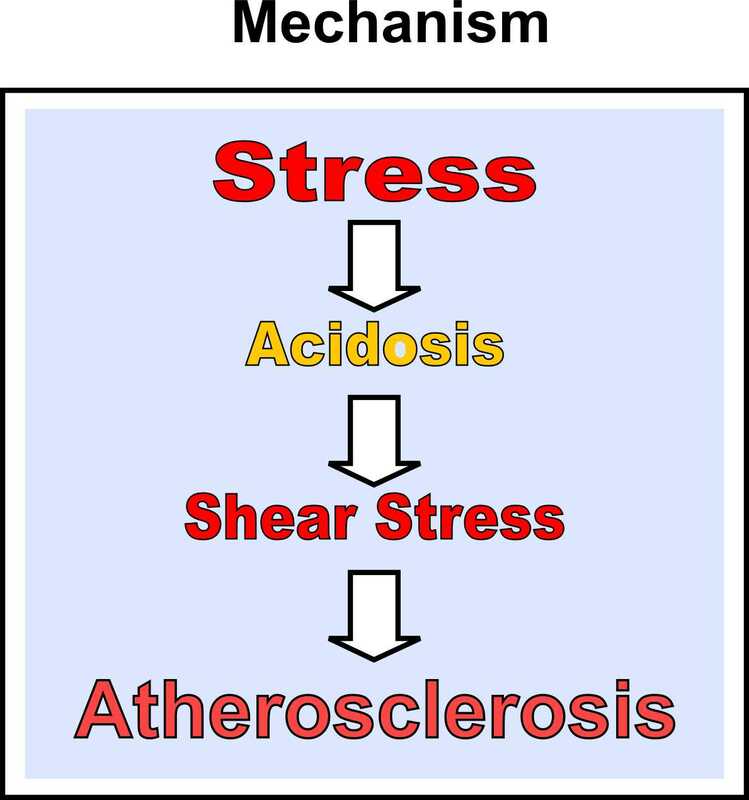 If arterial blood pressure suddenly falls, decreased stretch of the arterial walls lead to a decrease in receptor activation. The loss of the stabilizing influence of vagal control raise the susceptibility to sympathetic influences. On the other hand the result of the baroreceptor improvement is the inhibition of the sympathetic nervous system and activation of the parasympathetic nervous system. It is interesting to notice the impairment or decrease of baroreflex sensitivity in front of some key factors for atherosclerosis, cardiovascular disease and stroke, like in ageing, ingestion of sugars, in special high-fructose diets and smoking. Related to atherosclerosis there are some studies showing that in bilateral carotid atherosclerosis (1) and in greater intima-media thickness (2) the baroreflex sensitivity is reduced or impaired. In this direction a study published in 2005 have indicated that arterial baroreflex dysfunction promotes the development of atherosclerosis in rats, and that inflammation may be involved in this process (3). The same authors have demonstrated in a very recent publication that low dose ketanserin, an anti-hypertensive, prevented the development of atherosclerosis in spontaneous hypertensive rats and rabbits at least in part via enhancement of arterial baroreflex function (4). Other anti-hypertensive drugs like Beta blockers may also enhance baroreflex sensitivity (5) with positive effects on atherosclerosis (6). Digitalis glycosides, another class of drugs, also augments cardiopulmonary baroreflex control of sympathetic activity (7), that probably is responsible for potential benefic effects of digitalis on atherosclerosis (6,8,9). Aside of the above mentioned drugs there are some recent studies suggesting that polyunsaturated fatty acids - PUFA (19), cacao (10), vitamins like vitamin C (11,12), vitamin E (13) and folic acid (14,15), apart of aerobic exercise (16,17) and slow breathing (18), improve baroreflex sensitivity with possible positive effects on the treatment or prevention of atherosclerosis according to the acidity theory of atherosclerosis point of view (6) where sympathetic predominance is the primary factor in the cascade of events leading to the atherogenic spiraling. 9. Kolkhof P et al. Cardiac glycosides potently inhibit C-reactive protein synthesis in human hepatocytes. Biochem Biophys Res Commun. 2010 Mar 26;394(1):233-9. Epub 2010 Mar 3. 10. Akita M et al., Effects of cacao liquor polyphenols on cardiovascular and autonomic nervous functions in hypercholesterolaemic rabbits. Basic Clin Pharmacol Toxicol. 2008 Dec;103(6):581-7. 11. Kevin D. Monahan et al, Ascorbic acid increases cardiovagal baroreflex sensitivity in healthy older men. Am J Physiol Heart Circ Physiol 286: H2113–H2117, 2004.